Do you listen to today’s advanced metal guitarists and wish you could use and understand their cutting edge approach to playing the guitar? Are you stuck using the same old approaches to shred guitar? Would you like to build complete freedom to play anything, anywhere on the guitar with perfect technique? 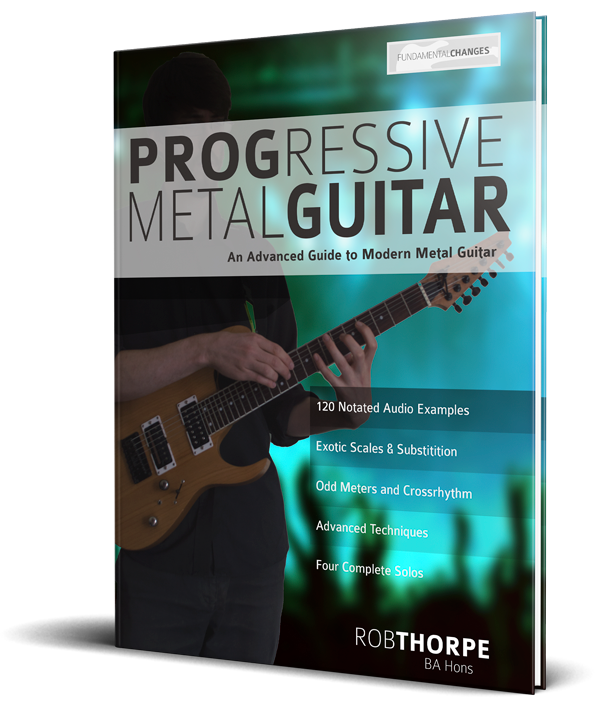 Progressive Metal Guitar will help you dominate the guitar in the style of the most cutting-edge bands and guitarists of the Progressive Heavy Metal genre. 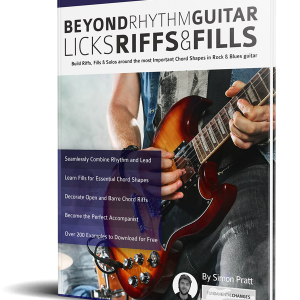 You will learn the tips, tricks, techniques and approaches of the world’s best guitarists and the best way to apply them to create exciting dynamic solos and music. Five full demo solos with bar-by-bar breakdowns. 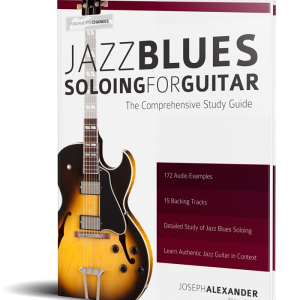 Each solo is based on the specific techniques of each chapter. Solos in the style of Malmsteen, Cynic, Death, Nevermore, Dream Theater, Buckethead, and Bumblefoot. Over 100 live-recorded, fully notated examples to make the music come alive and inspire you to reach your goals. It’s a fully comprehensive guide to essential Progressive Metal Guitar techniques for intermediate to advanced Players. There are so many virtuoso guitarists out there these days, and they are all pushing music into exciting new directions, however, it is often difficult to find reliable information about how they are creating all those cutting-edge tracks. 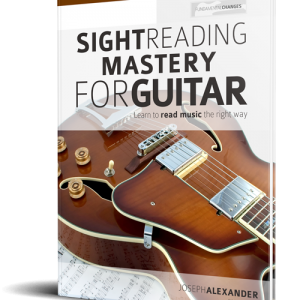 This leads to frustration in the new generation of guitarists as the music is often fast, complex and difficult to transcript. It’s time to break down the barriers between the virtuosos and you! – Progressive Metal Guitar opens up the possibilities of modern day advanced guitar technique to anyone with a guitar. It’s definitely not for the faint-hearted, but you’re here for a reason, right?! 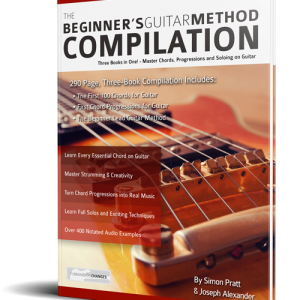 Contained with Progressive Metal guitar are the tools and secrets you need to reach the next level in your playing and build a path to guitar greatness. Buy it now and bring your guitar goals within easy reach.